I’ve had the great privilege of covering Derek Jeter over the past few years and I was anxious to cover his final game in Toronto over the weekend. I wanted to make a picture that could stand-up to the occasion of one of baseball’s greats leaving the park. Not sure whether I did it or not, but I was pleased with how the file turned out. 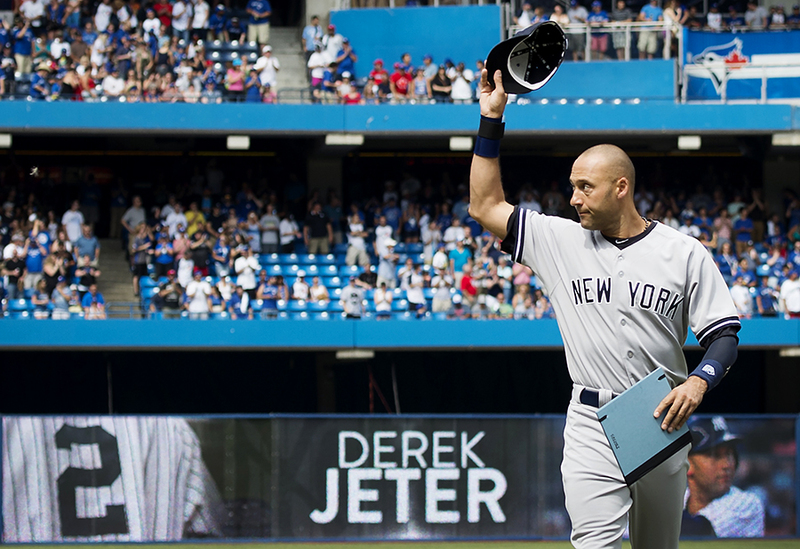 New York Yankees shortstop Derek Jeter acknowledges the crowd while being honoured in on-field ceremony before his final game at the Rogers Centre in Toronto on Sunday, August 31, 2014. 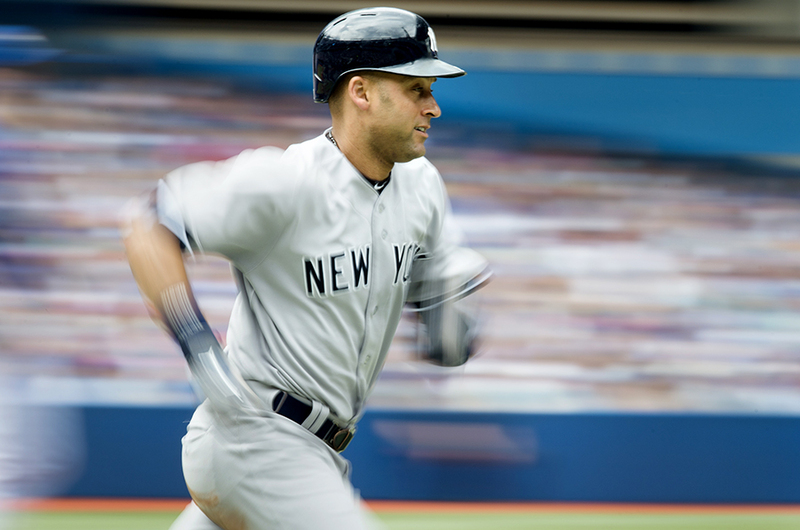 New York Yankees’ Derek Jeter runs down the first base line after grounding out in the third inning of MLB baseball action against the Toronto Blue Jays in Toronto on Sunday, August 31, 2014. 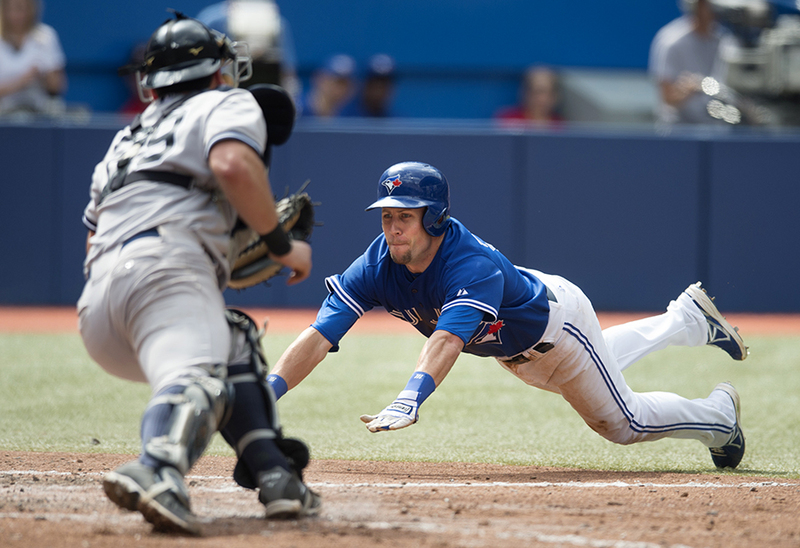 Toronto Blue Jays’ Steve Tolleson, right, slides safely past New York Yankees catcher Francisco Cervelli to score on a Munenori Kawasaki RBI double in the seventh inning of MLB baseball action at the Rogers Centre in Toronto on Sunday, August 31, 2014. 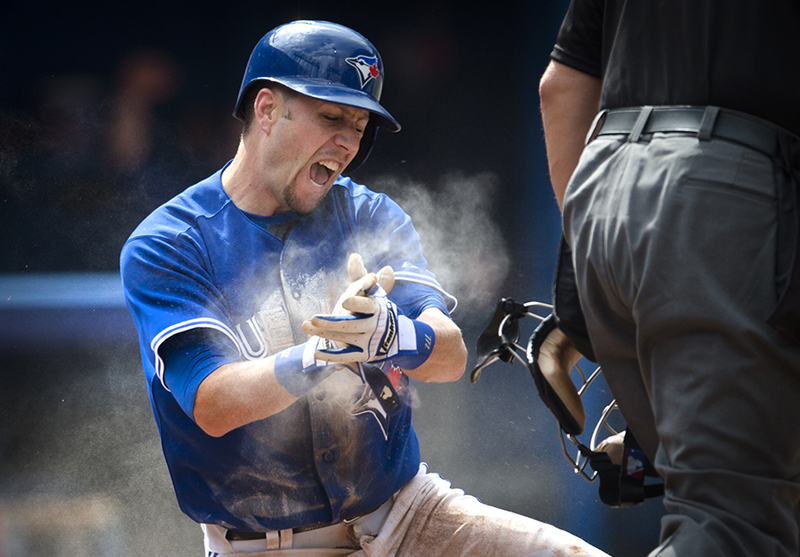 Toronto Blue Jays’ Steve Tolleson reacts after scoring the winning run on a Munenori Kawasaki RBI double in the seventh inning of MLB baseball action against the New York Yankees at the Rogers Centre in Toronto on Sunday, August 31, 2014.